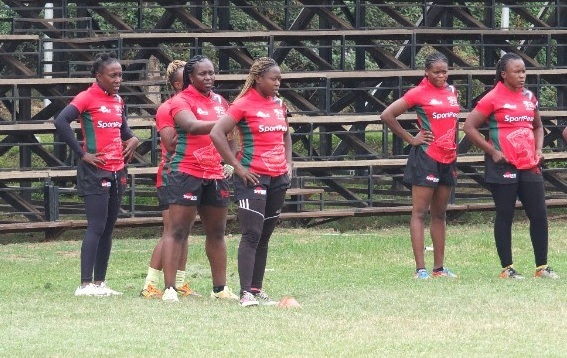 Kenya Lioneses head Coach Kevin Wambua has named his side that will take on the Lionesses academy side and the two Uganda sides at this weekend's Safari 7s. The Kenya Lionesses and Uganda’s Lady Cranes will be joined by the Kenyan Clubs Select and Uganda’s Emerging Cranes in a four team round robin competition along the sidelines of the Safari Sevens at the RFUEA Ground on Saturday. The team has three debutantes, Stella Wafula, Christabel Tata and Ann Koki. They prepare for Dubai7s later this month. Philadelphia Orlando will Captain the team and shall be assisted by Sheila Chajira. Other players who have made the cut are Sophia Ayietta, Janet Okello, Sinaida Aura, Grace Adhiambo, Sarah Oluche, Diana Awino and Cynthia Camilla. The second string side is under Nakuru’s Felix “Mwalimu” Olow. His side features these players: Mitchelle Akinyi, Maureen Njoki, Enid Ouma, Laurine Akoth, Stacey Atieno, Faith Keino, Faith Marindady, Winnie Awino, Veronica Wanjiku, Monica Mueni, Freshia Awino and Dorcas Sinaida. Faith Marindady will skipper this team assisted by Winnie Awino. The lionesses match kick off at 9:00am on Saturday.